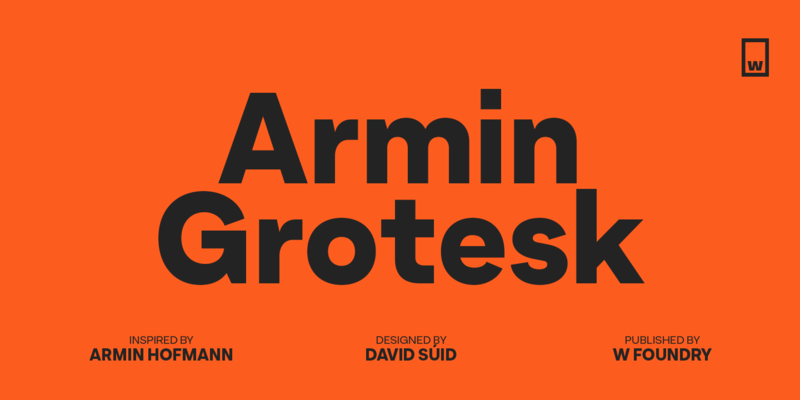 Armin Grotesk is a modern typeface created by David Súid and published by W Foundry. Inspired by Armin Hoffman’s work and designed as a homage to him, it provides an array of visual tools to create various design projects. It includes three typefaces (Grids and grotesk and neo-grotesk) which are meant to generate all types of visual content and make the creative process as simple as possible. The smart stylistic variants are optimized to make this typeface appropriate for a wide range of purposes (branding, corporate, editorial, logotype, magazines, headlines, packaging and web). A font description published on Monday, March 18th, 2019 in David Súid, Fonts, W Foundry by Iulia that has 486 views.